A Bolo is made with chopping in mind. One of the most common characteristics is the weight forward element in which a Bolo possesses, usually due to the narrow blade width near the handle that gets wider up towards the tip. These tools are made with fire, a pair of tongs, water, a hammer and hands. From then they are ground with either a grinder or stones to a convex edge. These are not pretty collectibles nor were they made to be. No beauty pageant hopefuls here! All knives are hand forged using leaf spring or ball bearing steel (5160). All knives come with a convex edge for strength when chopping and producing fine fuzz sticks when used for whittling wood. All knives are 100% made in the Philippines and unlike machetes are ready to go to work or play right out of the box! What can I do with a Bolo? There is often talk of the illusive one-knife-do-all. In reality, to Filipinos, the bolo is just that. It is used for everything that many tools would normally be used for by westerner’s. The bolo is our agricultural gardening tool meaning it chops trees, bamboo, vines, clears brush, and serves as our shovel digging holes for poles to be put into the ground. It is our hammer, especially when used in a camp for putting stakes in the ground. Most of the Bolos we offer are from Pangasinan in northern Luzon and Bohol in the Visayas region. Our bladesmiths craft bolos exclusively for our company. The specifications, durability and craftsmanship cannot be found anywhere else. We are constantly working with our bladesmiths to design new styles of bolos for various uses. 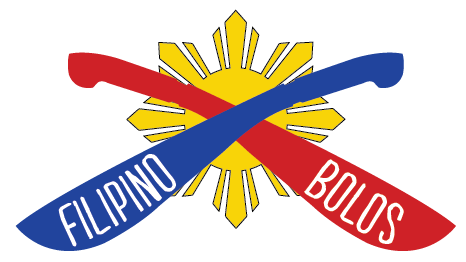 What materials are used in the Bolos from FilipinoBolos.com? Filipinos are resourceful and often use what is available to them locally. This mentality has spread throughout our structures, food, and even bolo making. Most Filipino Bolos are made from leaf springs and ball bearings from vehicles. Handle materials range from PVC, various woods, carabao horn and tough plant matter such as rattan. These Bolos are not machine made in a production factory. They are hand made using traditional forging techniques often passed down from generation to generation. There are, and will be, variations from bolo to bolo. These are rugged hard use tools made by people for people who’s lives depend on them. These are true survival tools in every aspect.